After all of the glittery, sugary confections consumed during the holidays, January cookie cravings lean toward something a little more rustic and a little less sweet. One answer to that craving is Crunchy Lemon Poppy Seed Cookies with the familiar flavor of lemon poppy seed muffins, baked into a crisp cookie! With no icing and only lightly sweetened, Lemon Poppy Seed Cookies are perfect for when a craving calls for just “a little something”. The only times in my life that I have had specific food cravings were during my pregnancies. My hormone driven quest for weird food was thankfully short lived. How I even thought of eating cottage cheese with ranch dressing is a mystery. At all other points in my life, my cravings were more general; a need for carb filled comfort food, a taste for all things Mexican, something light and fresh in the summer, or citrus in the gloom of winter. In January, I crave lemons, limes, and grapefruit. Maybe I have a vitamin C deficiency, but I think citrus flavor brightens the winter days. Lemon poppy seed muffins are one of my favorite ways to bake with citrus. Unfortunately, I haven’t found a care package worthy lemon muffin, as they tend to dry out after a few days. 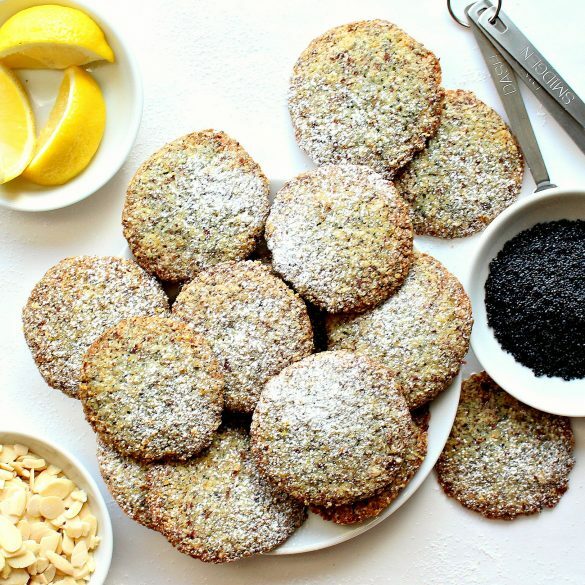 I’m still working on that, but in the meantime, the same lemony burst and poppy seed crunch can be packed into Crunchy Lemon Poppy Seed Cookies, which retain their freshness for several weeks. As temperatures dip toward zero, a Crunchy Lemon Poppy Seed Cookie is a welcome bit of sunshine alongside a steaming mug of tea or coffee. We have weeks and weeks of cold still ahead of us. 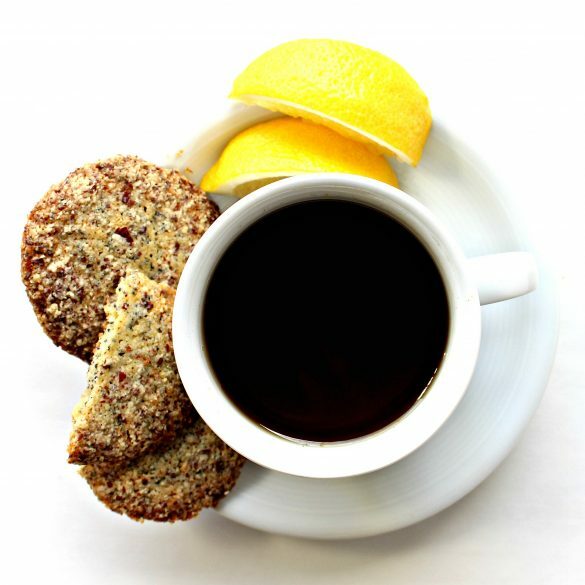 Now is a good time to stock the cookie jar or care package with a cookie that pairs well with any warming beverage. 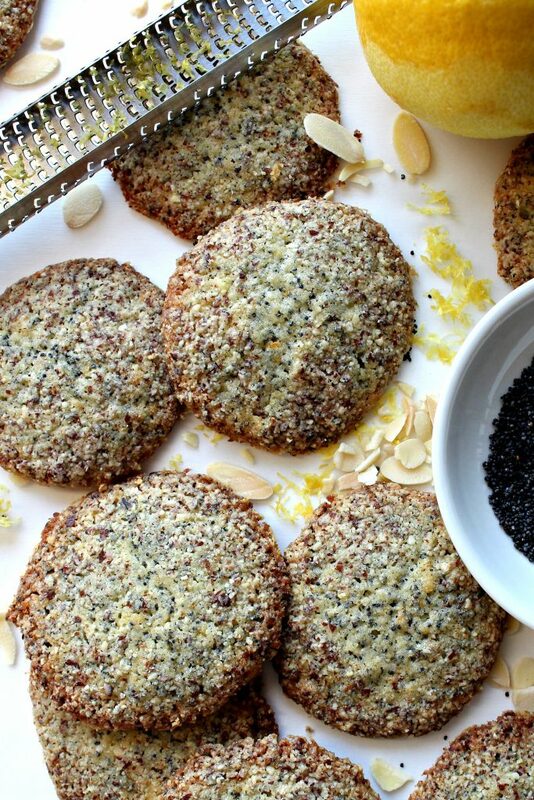 Warning: After one or two Crunchy Lemon Poppy Seed Cookies, you will likely be craving a few more. A note about the almonds: This is an unusual recipe for The Monday Box because it contains nuts. I am allergic to nuts and don’t usually include them in my recipes. Almonds are the only tree nuts I can cook with, without having an allergic reaction, but I can’t eat them. 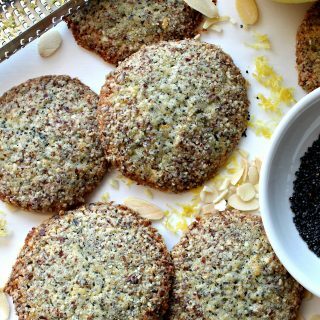 I tried making Crunchy Lemon Poppy Seed Cookies without the ground almond coating. Unfortunately, the batter melts into a puddle in the oven if the cookies aren’t coated. They were a tasty puddle, slightly burnt, and very ugly. A nut-free version of these cookies didn’t work for me. 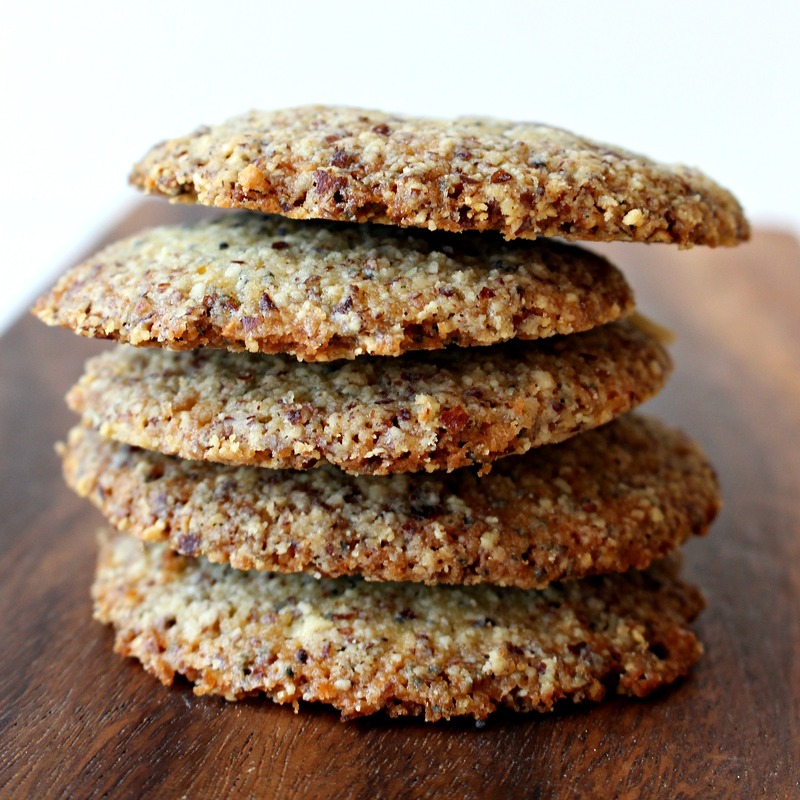 My non-allergic taste testers were very happy with the flavor and texture that the ground almonds add to the Crunchy Lemon Poppy Seed Cookies. 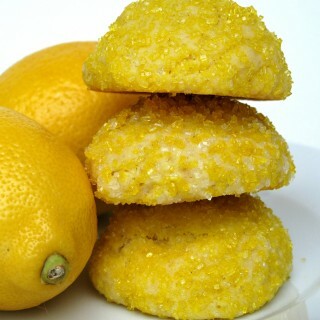 If you can’t use the almond coating, I suggest baking a different crunchy lemon cookie. In a medium bowl, whisk together flour, poppy seeds, and salt. In the bowl of an electric mixer, cream together the butter and sugar until fluffy. 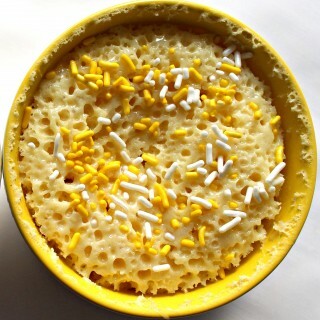 Mix in egg yolks, vanilla, and zest. Scrape sides of bowl. Gradually add flour mixture just until combined. Use a small (1 tablespoon) scoop to divide the dough. Scoop the dough then roll with hands into a ball. Roll the dough ball in ground almonds to coat. Place on prepared baking sheet 2” apart. Bake for about 15 minutes until the bottoms brown. Use a spatula to transfer cookies to a wire rack to cool completely. Optional: Dust cooled cookies with confectioner’s sugar. Store completely cooled cookies in an airtight container or freezer weight ziplock bag at room temperature for several weeks. Because they are thin, Crunchy Lemon Poppy Seed Cookies should be packed carefully to keep them from moving around inside the container during shipping. The cookies are sturdier when wrapped in pairs, bottoms together, in plastic wrap. Stack wrapped bundles in an airtight container or freezer weight ziplock bag. Cushion the inside of the shipping box with tissue paper or other packing material. Craving more citrus? Bake some sunshine with these recipes! These sound wonderful after all the over-the-top sweet holiday indulgences. I love most anything with poppyseed! It’s funny what a fun and gourmet touch they add! Thanks, Chris! These cookies are simple, yet full of flavor. The poppyseed does give a gourmet touch! Lemon Poppyseed is one of the greatest flavour combos ever! I was just wondering what you would post about in January, since everyone else posts healthy salads and vegetables. These are just what I need right about now, although I suspect I won’t be able to limit myself to just a few! I am holding a stack with your name on it, Reeni! I agree wholeheartedly on the deliciousness of lemon poppy seed and was delighted to find a recipe with that combo that stays fresh for such a long time! I was thinking “refreshing” too! Oh I love lemon poppy seed muffins so these are right up my alley! Thanks for the recipe! Thank you for sharing on Merry Monday! Pinned & Sharing on G+! Have a great week! Cottage cheese with ranch dressing definitely sounds, um, interesting!! haha But these cookies! Interesting in a very good way!! 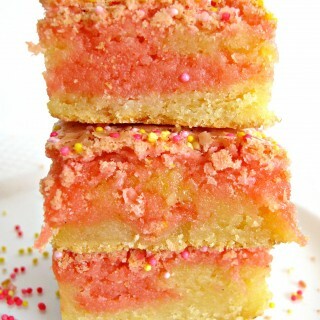 I loveee poppy seed sweets – these sound scrumptious! Thanks, Ashley! I totally agree (at this point) that cottage cheese and ranch dressing is WEIRD, but at the time it was perfection. 🙂 Lemon poppy seed isn’t a combo that’s used in cookies very often. It should be! I agree…this is a great January cookie! I was just making a batch of crepes this morning with lemon zest and thinking how nice that pop of lemon is! I have been loading up on oranges and grapefruit too so I am very on board. : ) Enjoy your lovely nibbles and hope 2017 is off to a great start! Thanks, Monica! It may sound silly, but I think we develop cravings for things our body needs. No, it may not actually NEED cookies. It’s the citrus part I am referring to. 🙂 Perhaps citrus appeals so much in the winter because we need it. Your crepes sound fantastic! Happy 2017! 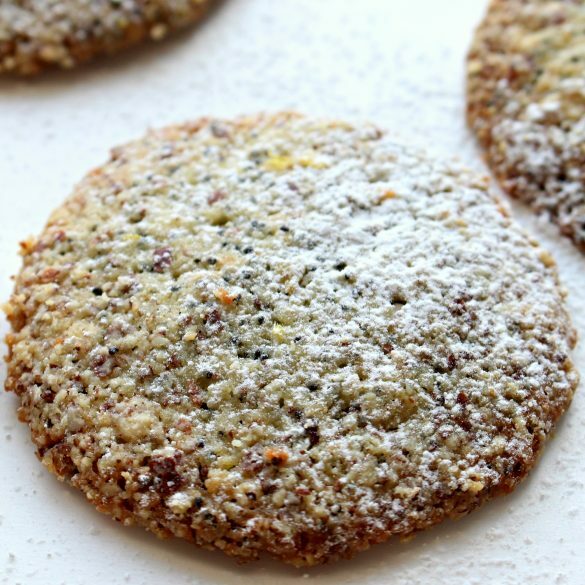 We will love your Crunchy Lemon Poppy Seed Cookies, they look delicious. Hope you are having a great week and thanks so much for sharing your awesome post with us at Full Plate Thursday. We look forward to seeing you again real soon!